Some might say hitting your 30s is like going through puberty all over again. Your body starts doing things you’d rather it didn’t, people start expecting you to behave in ways you’d rather not, and the gulf between you and someone just a few years younger or older can seem vast and unassailable. 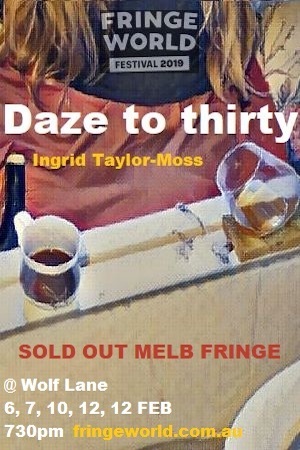 For Melbourne writer Ingrid Taylor-Moss the milestone of 30 prompted her to toast her story. Told with humour and honesty, this short theatrical piece plays with how different types of storytelling shape our lives in all sorts of unexpected ways. 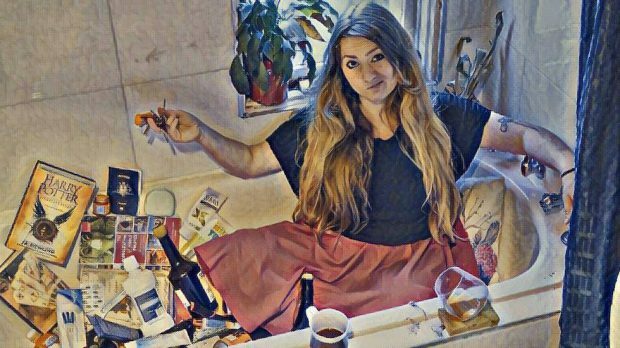 She reflects on the inevitable demise of her 20s via ‘five signs you can wave goodbye to your 20s’ below, ahead of her FRINGE WORLD show Daze to Thirty, hitting Wolf Lane from Wednesday, February 6 to Tuesday, February 12 (get more info and tickets here). I am coming up to 30. It’s a milestone that seems to just tick away in the back of your head, you know. In everything you do, somehow it has to have more weight and more meaning. There was a beginning, middle and now there has to be an end. And somehow, I was meant to have learnt some all big and defining life lesson. We all like stories; it’s how we learn, remember and evolve. That’s why 30 is scary. Because it’s the end of a book named ‘my 20s’ and all of a sudden there’s also meant to be a moral; some overarching realisation that makes all your choices make sense. That you, as a person, have meaning. In this struggle to find meaning, you can go on some awkward adventures of self-discovery. The people who can look at their story and be happy are lucky – those two people must meditate. The rest of us either have Picasso’s interpretation of a James Joyce novel written in Russian to weave through or they look at that journey and still wonder, did I ever think this is what my life should be? 1 ) Wine has become a close confidant and BFF. 2) You would cry now if you dropped your phone in the toilet. When you were 18, you just laughed. 3) FOMO is mainly about Netflix shows that you don’t have time to watch. 4) The desire for owning a home has driven you back to Lego sets. 5) You’re prone to somber waves of dark realisation that erupt morose sentences from your mouth without you realising; it is only by reading the faces of the people around you, you understand how morbid what you just said was.